All farmers and the Coonamble & the Come by Chance communities are welcome to come along to the Active Farmers classes! It doesn't matter what level of fitness you have or how much experience you have, our programs are designed to be suitable for everyone. At Active Farmers we believe the more the merrier and the more diverse the group the better! For any questions or concerns get in touch with Anna. I grew up on a family farm just out of Gilgandra. I completed my nursing degree, travelled and worked , got married and moved to Coonamble. My husband and I have 5 children . We run cattle and a broadacre cropping operation 60kms NW of Coonamble. I have always loved sport and I am very passionate about fitness, staying active and healthy. I feel the key to a healthy mind and body is to get out and do something every day. I completed my cert 3 and cert 4 in fitness earlier this year . Besides 2016, parts of Coonamble have been in severe drought since 2012. This not only affects farmers, but community members at large. 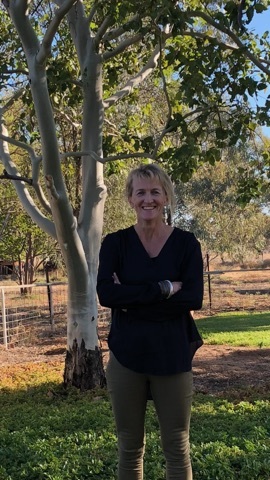 By bringing Active Farmers with the support of Delta Ag to the Coonamble community, brings a program where people can meet , have a chat , and have some fun through exercise. Looking forward to running the program for you!